Accelerate your manifestation results naturally by focusing your mind with this unique subliminal audio mp3! Have you been trying to use the principles of the law of attraction, but without much success? Perhaps you have been taking action, thinking regularly about what you wish to manifest, yet received little or nothing? Do you want a natural way to improve your manifestation success and accelerate your results? If you are wondering where you are going wrong then this is the MISSING INGREDIENT you need. If you are not getting the result you want then there is something missing. There are 2 main elements to the law of attraction; conscious thoughts / action and subconscious belief - 99% of people only consider the conscious path. However, by ignoring your subconscious mind you will never get the result you want. There will always be something holding you back, deep within your subconscious mind - usually this will be deep held negative thoughts, or limiting beliefs in the law of attraction. Lack of belief will hold you back.. It is this lack of belief which will really hold you back, unless you do something about it.. and if you do, if you really can eliminate this lack of belief then your manifestation results will accelerate faster than ever! You see, when you first start using the law of attraction it can take many months and years to believe in it fully (including deeply within the depths of your subconscious mind). It is a concept which is quite different to what we are taught most of our lives - that we can just think about and focus on what we want and attract money, love, success.. in-fact, anything we desire into our lives..
What they don't mention straight away is that you have to believe in it 100% - to ask for things as if you know you will receive them, rather than hoping for them, and this is why people fail. Even if you do believe in the law of attraction, the principle that we can focus our thoughts positively and attract positive things into our lives.. deep down, if you are honest, there are still tiny doubts within your subconscious mind, most of us have these at first, or possibly for a long time, and it is these doubts which hold us back. Accelerate your manifestation success and finally get the results you deserve! This album is unique! 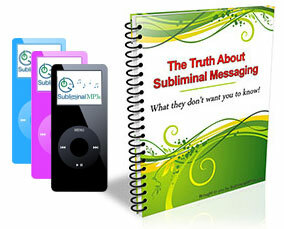 It has been designed to penetrate deep into the core of your subconscious mind, to eliminate your subconscious doubts and thus dramatically increase the successful manifestations you create! Download this album today and turbo charge your law of attraction success effortlessly! This album works well when combined with our main law of attraction subliminal, and other more specific albums in this range.